Developer's Interview: Our Discussion With Collin van Ginkel From Two Tribes Games! Questions Answered And New IP's Confirmed! We had the pleasant opportunity to talk directly to Collin van Ginkel, who is one of the co-founders of the indie video game development studio Two Tribes Games and he kindly answered our questions that we asked him and talked a little about an upcoming project so without further delay, here is our interview! [Q]: How successful have your games been on Nintendo platforms? [CVG]: Each game performs differently. Overall we haven't had any super hits, but judging from our support recently you can deduct that it's important for us to stay active on the platform. improved from last generation's Wii Shop and DSiware Shop? [CVG]: That's a rhetorical question, right? It's been immensely improved. They addressed almost every single complaint we made during the WiiWare days, it truly is a world of difference. headed to the Wii U eshop over the next year? [CVG]: We're working on a 2D shoot 'm up concept that may become our next project. If it does, chances are it will launch on Wii U too. But it's too early to tell at this point. or 3DS eshops in the future? [Q]: How large was your development team that worked on Toki Tori 2? [CVG]: The core team was about 10 people, and we outsourced the audio to Sonic Picnic, who worked on it with four people too. It's the biggest production we've ever done! to change things up a bit? [CVG]: The fact that we're going for a 2D shoot 'm up next, is indicative of how we feel about puzzle games at the moment. We've done it for so long, and we're pretty decent at it, but it's time for a change. I hope people will still feel it's a true Two Tribes game, even though it's a different genre than they're used from us. [CVG]: In the 90's there were many games that revolved around puzzle solving. Examples such as Lemmings (Amiga) and King's Valley 2 (MSX 2) are direct influences, but basically the whole era was inspiring. hope to have the chance to do this again sometime! So are you excited about Two Tribes' possible upcoming IP and what did you think about our interview with Collin van Ginkel? Let us know in our comments! Re: Developer's Interview: Our Discussion With Collin van Ginkel From Two Tribes Games! I fixed a mistake in your article. 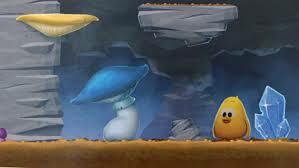 Love them on Wii U. Toki Tori 1&2 are amazing. I will definately get their other puzzle games RUSH and EDGE, and their new shooter when they hit Wii U. A shame I didn't get to know them earlier. Not having Toki Tori and Rubik's Puzzle Galaxy RUSH on WiiWare now feels like I seriously missed something. Collection incomplete! Two Tribes is awesome and I hope their shooter game makes it past alpha because I'm sure it'll be a fantastic game! This interview is a great example of a top tier exclusive article! WiiWareWave needs more content like this! Nice interview! I love Two Tribes. WiiWareWave and Two Tribes know how to make a fantastic interview! This is such a good exclusive interview lol. I look forward to Two Tribes' new IP! I really enjoyed reading this interview! You were amazing @Rukiafan! Two Tribes are amazing game developers and I look forward to whatever they will release next on the Wii U! WiiWareWave needs more features like this interview because this is what people like to read! This is a sweet interview dude! I enjoyed reading this superb interview you did a fine job @Rukiafan! 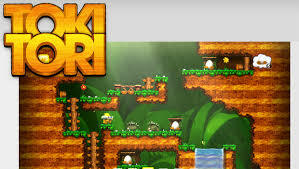 Two Tribes are best Wii U indie developer I love games! Two Tribes need to follow through on shmup idea the eshop need more game in the genre. Nice article overall. Two Tribes is simply an amazing indie developer. Great feature dude! I want to hear more about the shooting game Two Tribes is working on!